The ever-increasing ubiquity of social media has had a significant impact on just about every aspect of our lives, and caused a fundamental shift in the way brands have to connect and communicate with consumers. We live in a social media dominated world and it's more important than ever for brands to ensure that they're maintaining an active online presence, but don't think of this as a chore. Social media presents every brand with a unique and powerful opportunity to connect with their audience in a meaningful way and get them to actively engage with your brand. One of the most engaging and effective ways you can use social media to boost visibility and get people talking about your brand is running a hashtag campaign. In this post we'll take you through exactly what a hashtag campaign is, why they're so effective, and how you can successfully run one of your own. Plus, we'll show you some of our favourite hashtag campaigns for a little bit of inspiration. A hashtag campaign is a type of social media campaign where brands create a unique hashtag and encourage users to engage in discussion and submit content using the hashtag on social media. Hashtag campaigns can be run across a wide array of online platforms, with Instagram and Twitter generally being the most effective. An easy and engaging type of hashtag campaign you can run is one which asks users to give answers or share stories about a topic relevant to your brand products, or niche and share them with your hashtag. Take a look at this campaign from Blue Apron. They used the #BlueApronWins hashtag to get people to share their Blue Apron success stories which generated friendly discussion about the brand, boosted exposure and helped form positive associations. Campaigns like this are a great way to spread awareness, earn favourable perceptions and possibly even gain some viral traction. Charmin were able to go viral with their #TweetFromTheSeat campaign which asked the Twitterverse to share their bathroom thoughts. The campaign boosted their profile and helped create a funny, friendly and welcoming brand identity. Hashtag campaigns can also present you with a great opportunity to drive social testimonials and referrals. You can use a hashtag campaign to ask your audience what they love about your products, how they use them, and what their success stories are. This is an outstanding way to generate positive word of mouth and promote your offerings to wider audience via the authentic and reliable posts your generate from loyal users. A perfect example of this comes from Sephora who asked their fanbase to show off how their contouring skills and generated a heap of customer testimonials in the process. A fun and highly engaging type of hashtag campaign you can put together is one which tasks your audience with coming up with a fun new idea and sharing it on social media with your hashtag. 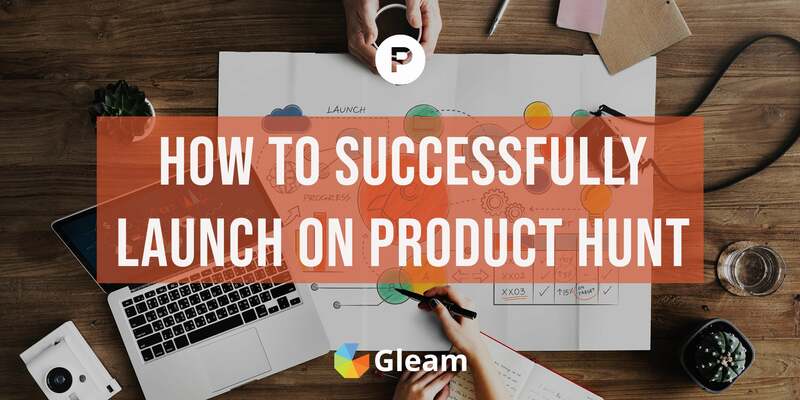 You can encourage users to share ideas for new products, creative ways to use to use your existing products, or anything else you think will engage your audience and help your brands promotional efforts. Lay's do an excellent job of this with their incredibly engaging yearly Do Us a Flavor campaign which tasks users with sharing their own potato chip flavour ideas. This campaign generated an enormous amount of impressions and put Lay's in the forefront of their audience's minds. If you're running an online contest or sweepstakes then getting users to make a post or Tweet with a contest specific hashtag can be a great way to collect entries. Plus, by having users publicly post their entries you will be able to broadcast your campaign to a wide audience which will help you increase participation and expose your brand to relevant new users. The most powerful use of a hashtag campaign is to collect user-generated content in the form of image and video submissions from your fans. You can ask users to share photos or videos of themselves enjoying your products or using them in unique and creative ways. 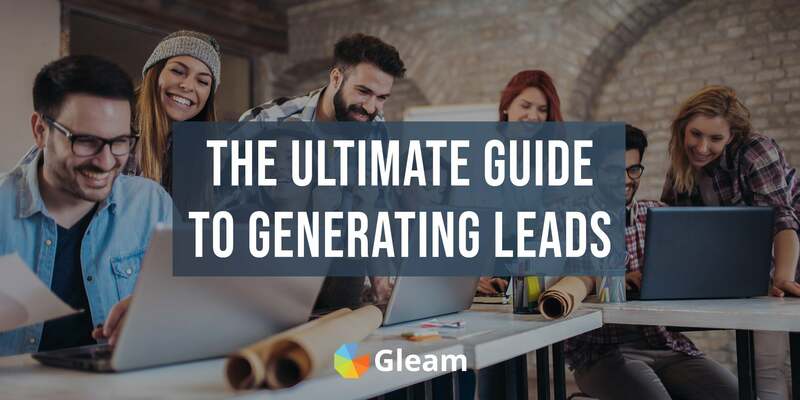 This is a truly outstanding way to create meaningful engagement and tap into your user base to generate and share a treasure trove of high-quality material that will give your promotional efforts a serious boost. This is a highly effective and incredibly popular tactic amongst e-commerce stores. 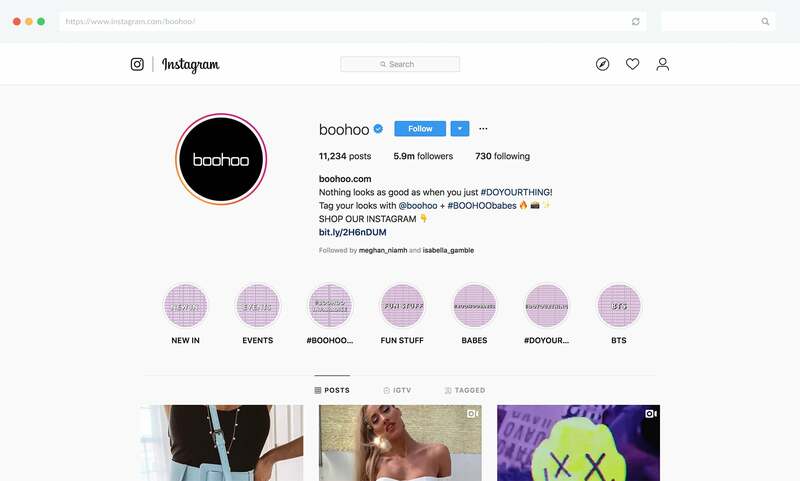 Just take a look at Boohoo.com who use #BOOHOObabes to generate an ongoing stream of customer photos which get posted across social media and shared through their own channels (complete with helpful product information). Now that we've gone over a few of the best types of hashtag campaigns you can run, we're going to take a closer look at exactly what makes them so powerful, and why getting your audience to engage with your brand and share content is so valuable to your promotional efforts. When you post about your brand on social media, you'll primarily reach your existing audience, but if you can use a hashtag campaign to get users to post about your brand on your behalf you will be able to expose your brand to huge new relevant audiences that you may have otherwise struggled to connect with. Lonely Planet have been able to this by asking loyal users to tag their Lonely Planet inspired travel photos with #MyLPGuide. Campaigns like this help increase the visibility of your brand, help raise awareness and create brand recognition amongst users who may take an interest in what you do and take further action. 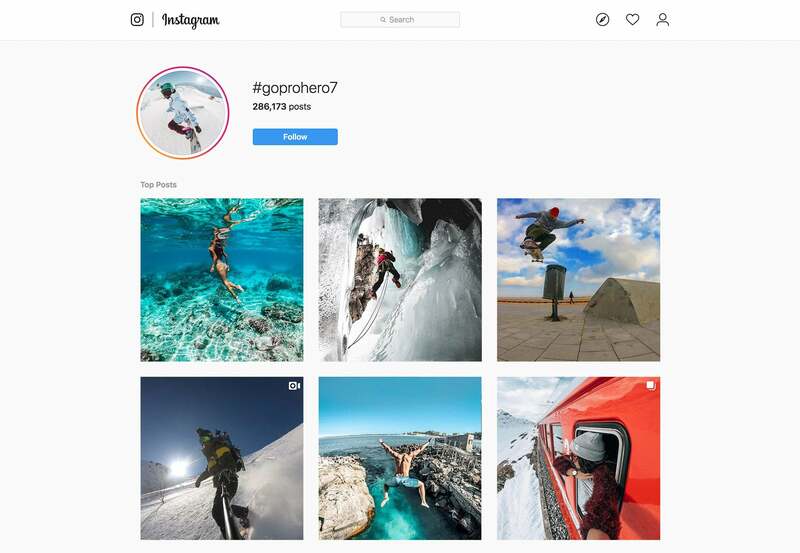 GoPro excels at using hashtag campaigns to boost product visibility by encouraging their customers to use a relevant hashtag when posting their GoPro photos and footage. This is the perfect strategy for GoPro as a lot of people will share their photos and videos on social media anyway. All GoPro needs to do is get them to use their hashtag with the incentive of prizes and features. 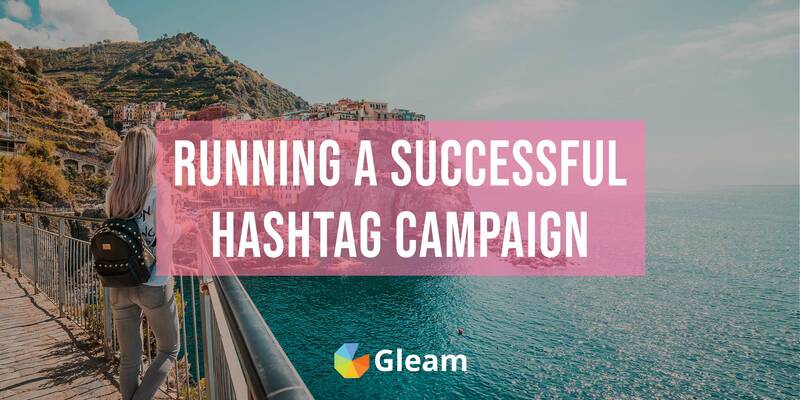 Hashtag campaigns are a great way to kickstart fun and engaging conversations about your brand, your products, or anything else that's relevant to your niche. Creating conversations will help you cement your place in consumers' minds and help you drive further engagement and action down the line. Spotify regularly runs hashtag campaigns where they ask their fans to share what they're listening to. This helps create a friendly dialogue about their service, gets people thinking about them, and encourages others to start listening. If you run a hashtag campaign designed to elicit positive stories about your brand or engaging photos of your products in action you be able to cultivate positive associations about your brand which endear you to new users and get your target market to view you in a good light. User-generated content is a lot more authentic, and often much more engaging than traditional branded content. People are a lot more likely to give credence to positive messages about your brand which come from friends and other users than those which come directly from you, which makes it perfect for forging positive associations and building favourable perceptions about your brand. 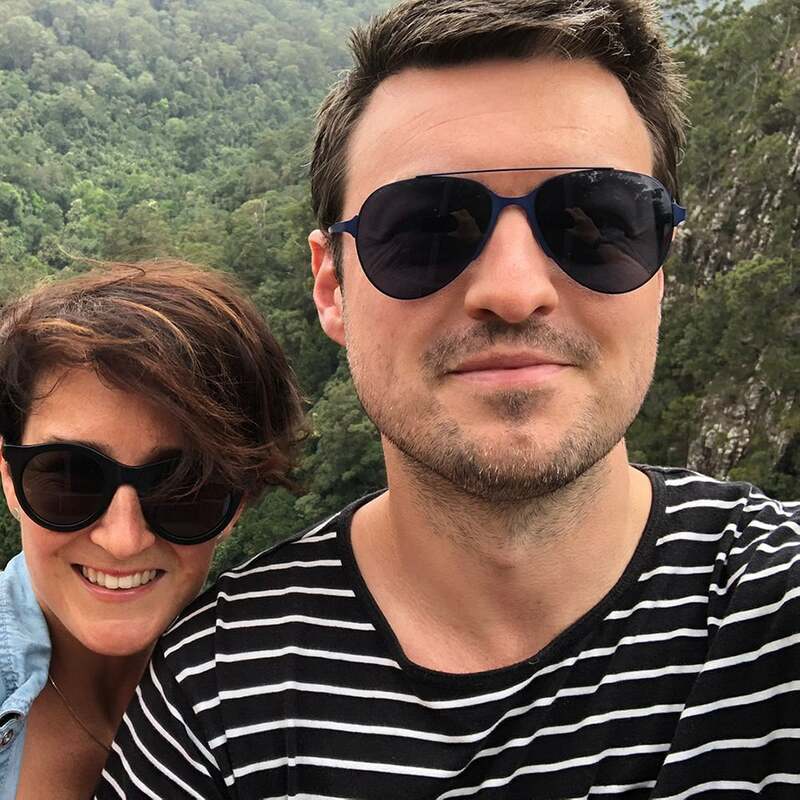 Travel company Topdecker take full advantage of this by getting their customers to tag their travel photos with #topdecker. These posts get shared by travellers and Topdecker alike and help form a strong association between Topdecker and awesome travel adventures. 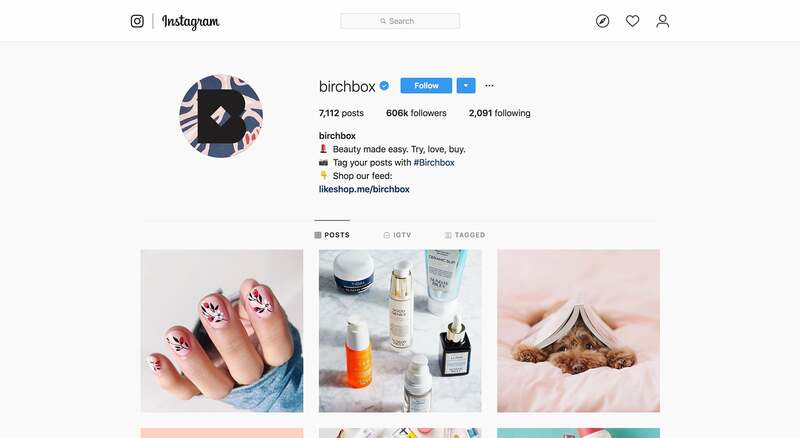 As well as building favourable associations and getting people talking and thinking about your brand, using a hashtag campaign to encourage the creation of user-generated content is also a brilliant way to simply promote your offerings. Getting people to produce and share photos of your product in use and why they love your brand is just like putting out your own branded promotional material on social media with the added bonus of extra authenticity and trustworthiness. Plus, it will be able to reach audiences you may have struggled to connect with without the help of social sharing. Frank Body does this superbly by getting influencers and ordinary customers to sing praise for their products with #TheFrankEffect hashtag. You can use hashtag campaigns to procure content that promotes your brand and products as a whole, or you can focus your campaign on a particular offering or component of your brand. 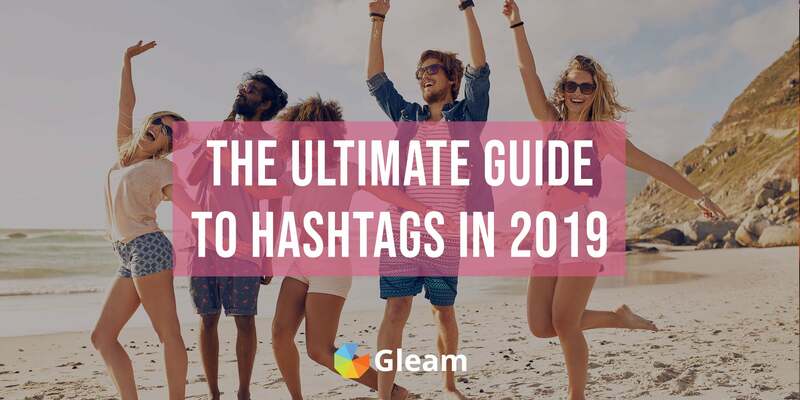 Hashtag campaigns aren't only an exceptional way to connect with new audiences, they're also fantastic for engaging with your existing audience, solidifying your customer relationships and cultivating a stronger sense of community around your brand. This will help you keep your audience engaged and encourage brand loyalty which puts you in an enviable position going forward. If you really want to use your hashtag campaign to strengthen your community you should try to respond to users who are getting involved. You can easily do this by searching through posts with your hashtag and liking them, or leaving a friendly comment. This is particularly important to do on high-value posts that you want seen by as many people as possible. Expedia regularly uses the #ExpediaChat hashtag to engage their audience and build their community by asking and answering questions about travel tips, ideas, deals and more. If you run a particularly hashtag campaign which gains traction and takes off you can use it as a launching pad for an ongoing marketing campaign that can form a significant part of your brand identity and drive consistent engagement. Lululemon encouraged their audience to share inspirational fitness photos with #TheSweatLife hashtag and it was such a massive success that it grew into a major component of their ongoing marketing efforts. Health and fitness are a big part of Lululemon's brand identity, and getting people to share branded fitness pics has greatly helped them raise awareness and solidify their position. If you find that you're achieving great results with a hashtag it's worth making efforts to keep it going for as long as it's working. We've already mentioned the power of having your audience share authentic and exciting branded content on your behalf, but there's also enormous value in collecting this content for use in your own marketing efforts. In fact, getting your hands on authentic and engaging promotional material to share through you own channels is probably the biggest advantage of running a hashtag campaign. You'll be able to integrate authentic and engaging user content into your marketing efforts and spread a much more relatable and reliable brand message than you could if you relied exclusively on traditional marketing materials. 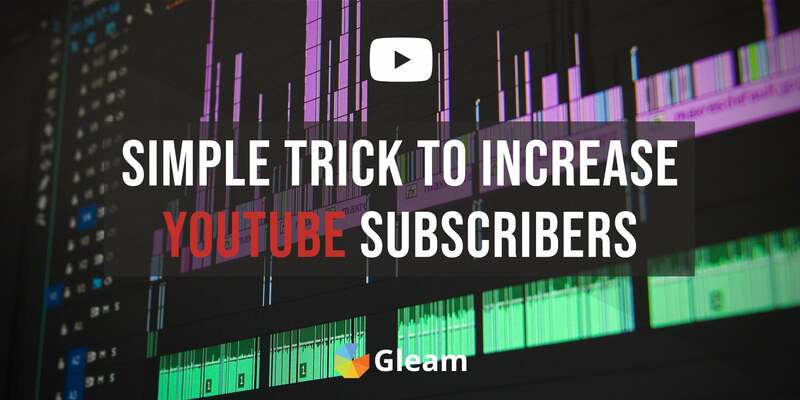 Plus, you'll still be able to use your existing promotional reach which is likely to be a lot larger than that of the fans submitting content. 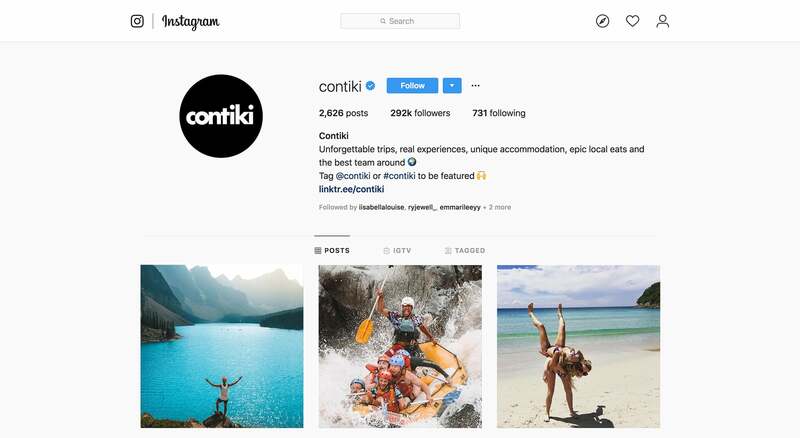 Contiki is a great example of a brand who understands the power of user-generated content, as most of the content they share through their social media channels is sourced from their customers. 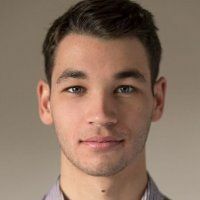 This allows them to put out a consistently engaging and relatable message that helps them connect with an audience and promote their offering. There is clearly a whole lot of upside to running a hashtag campaign, and one of the best parts of them is that you can enjoy all of these benefits at a fraction of the contest of a traditional marketing campaign. The only cost involved with running a hashtag campaign is the potential cost of a prize if you want to run a giveaway to encourage hashtag use. This is an enormous advantage which should put hashtag campaigns at the top of your list as you decide on what promotional steps you want to take next. When you're ready to start putting a hashtag campaign into action, the first thing you'll need to do is create a unique and engaging hashtag for your campaign. The hashtag you choose for your campaign will have a profound impact on it's overall success. Ideally you want to come up with something that people will easily understand, and grow to recognise and associate with your brand and campaign. You want to make sure that your hashtag is highly relevant to the specific campaign you're running. You want users who see your hashtag to have an instant understanding of what it means. Just take Apple's #ShotoniPhone hashtag which instantly clues users into what the campaign is about, and how they can get involved. Your hashtag should also include some level of branding. This will allow you to be identifiable in the content you generate and use your campaign to boost awareness and recognition. You can even keep things simple and get users to hashtag your brand name. You can also boost awareness and recognition from your hashtag campaign by asking users to tag you in their posts. The easier to read your hashtag is, the more likely it is to catch on and gain traction. If people are struggling to even read your hashtag they're not overly likely to start contributing to it. Try not to use more than 3-4 in a single hashtag, and make sure you capitalise the first letter of each word. This will significantly increase your readability. Take a look at Corona's #ThisIsLiving hashtag. It's clear, it isn't too long, and it is appropriately capitalised. Look at how readable #ThisIsLiving is compared to #thisisliving. There aren't any metrics you can use to quantify this, but it's incredibly important that your hashtag is appealing and memorable. Try saying your hashtag out loud a few times to get a feel for how well it flows. Always make sure the hashtag you choose for your campaign is unique and original. You don't want the hashtagged content you generate to be drowned out by a bunch of other posts with no relevance to your brand or audience. When you come up with a hashtag you may want to use make sure you do a quick search for it on all the major social media channels to check for noise. As well as ensuring that your hashtag is original, you also need to check to make sure you aren't going to stumble into any other PR disasters. You need to make sure you aren't accidentally saying something offensive, off-putting, or completely misleading when read in a certain way. Some of the damage could have been mitigated with proper capitalisation, but the disaster could have been averted entirely with a little more thought. If you're running a hashtag campaign on Instagram then it's often a good move to encourage users to tag you in their posts as well as using your hashtag. Instagram now allows businesses to easily access @mentions, so you can now use mentions to track and collect content submissions. This is an especially good idea if you're running a hashtag contest, as you can provide entrants with clear instructions on how to enter. This can be a good approach to take, as you will be able to open up a more direct line of communication with your fans, and you will be able to directly expose your brand to everyone who sees the photos your fans upload. This is a perfect for boosting exposure and strengthening your online presence. Once you've come up with your hashtag it's time to start spreading the word and encouraging users to get involved with the campaign. The beauty of a hashtag campaign is that once you get the ball rolling it will do a pretty great job of promoting itself, as everyone who uses your hashtag will expose it to their own social circles leading to a cycle of adoption and exposure. It may sound overly simple, but one of the most effective tactics for getting your audience to adopt your hashtag is simply giving them a prompt and asking them to use it. This is especially true for larger or more established brands who have already cultivated a fairly engaged audience. If your hashtag campaign involves something fairly easy like sharing a story or answering a question on Twitter you shouldn't need to do anything more than ask. If you want your audience to produce something a little more high-value for your hashtag campaign like tailored Instagram posts, it might help to offer some sort of incentivise for doing so. Offering the best submissions the chance to get featured in your social feed or on your website will often be enough incentive for a lot of users. If your hashtag campaign is asking for photo submissions you should post about it about it on a regular basis and always lead by example. Try posting your own photos and any early submissions you receive with the hashtag. This will help get people in the spirit of your campaign and give your audience some inspiration. If you're running a hashtag campaign on Instagram it's worth mentioning your hashtag in your bio. People who visit your profile have already shown clear interest in your brand, so instantly cluing them into your campaign is a great way to drive participation from highly relevant users. 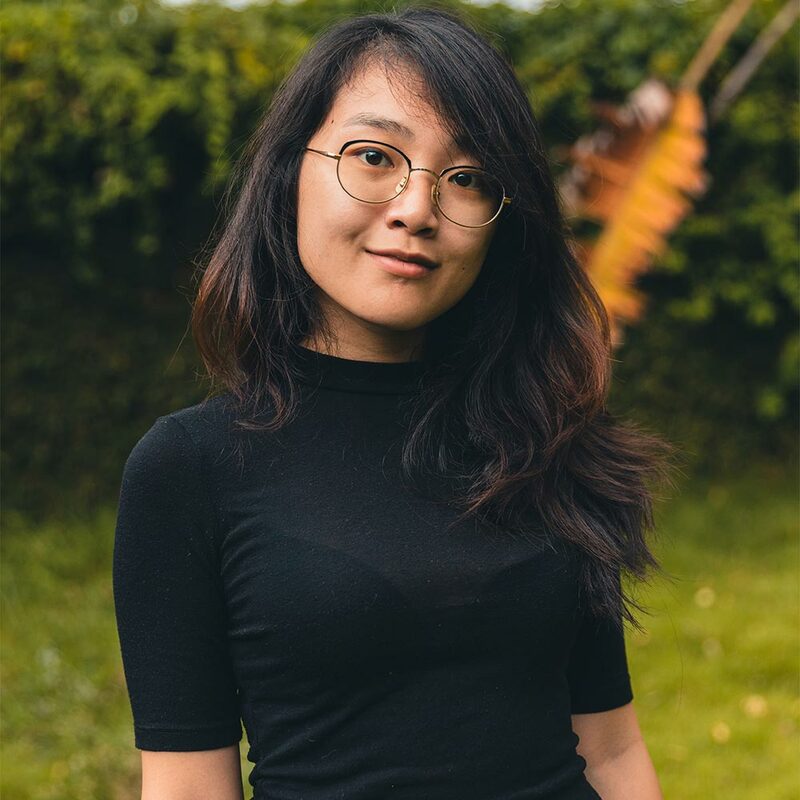 As easy and effective as it can be to just ask your audience to get involved with you hahstag, if you really want to maximise participation and drive engagement then you may want to consider running a contest where users can post content on social media channel for the chance to win a prize. Starbucks were able to drive massive hashtag adoption and content creation with their #RedCupContest which tasked users with submitting artistic cup drawings for a change win valuable cash prizes. Running a user-generated content contest is a particularly good idea if you're trying to drive high-value content submissions. 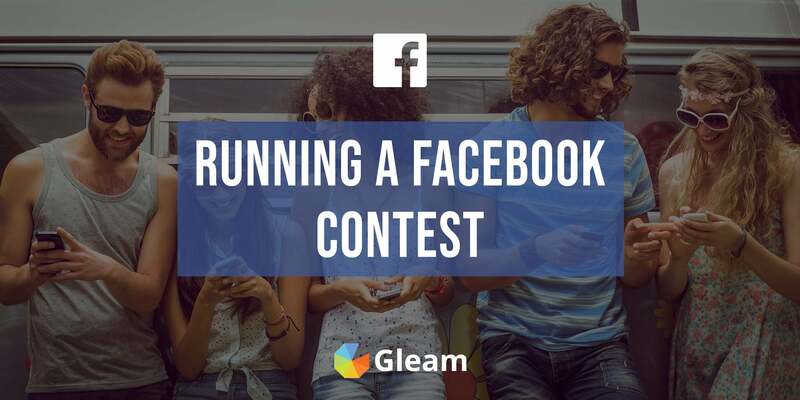 You can easily run a giveaway on Instagram, Twitter or even Facebook by making a post announcing your campaign, laying out the submission requirements, and highlighting your prize as incentive. 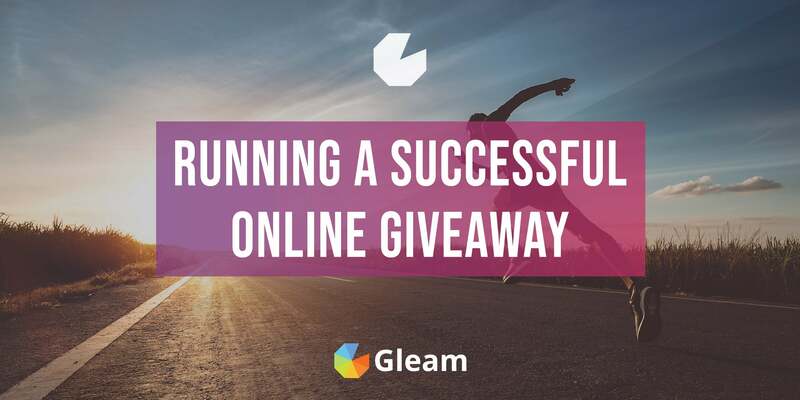 There's no doubt that running a giveaway is a powerful way to jumpstart your hashtag and drive a whole lot of user engagement, but running one manually can pose some challenges. Firstly, you'll have to manually validate entries and draw winners yourself which can be quite an effort. Secondly, if you want to hang on to user submissions and use them in your own marketing efforts this can be quite a challenge. That's why we recommend using a 3rd party app such as Gleam to run your giveaway. When you run a hashtag campaign giveaway with Gleam you won't have to worry about monitoring entries or drawing winners, and we'll collect every submission for you with our powerful Import actions. When you import hashtagged Instagram images into your campaign it's important to note that Instagram will only allow you to pull in hashtagged images from the last 24 hours and your top hahstags. You can continue to import submissions as your campaign continues. 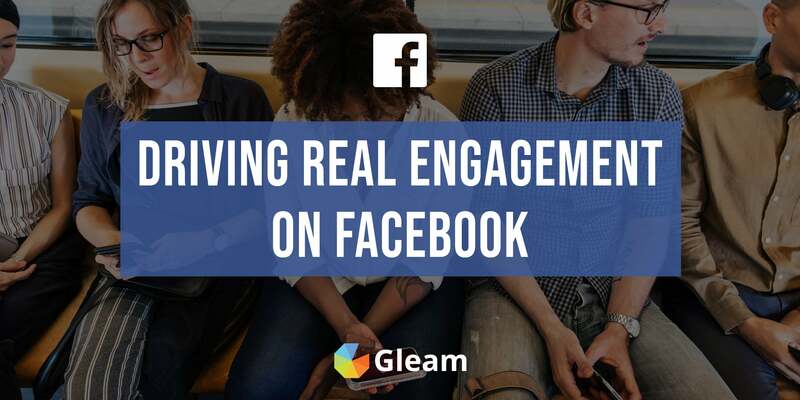 The best part about using these import actions is you can still run your campaign entirely on social media, as Gleam will collect and monitor hashtagged posts without users ever having to interact our widget. All you need to do is encourage your audience to enter and we'll take care of the rest. An alternative approach you can take is driving traffic to a Gleam campaign widget and using our Select actins for Instagram, Twitter and Facebook to ask users to submit their hashtagged photo. You can even combine it all into one powerful action with our Submit Media action. A major upside of using the widget is the ability to incentivise other actions such as visiting your Intagram profile, following you on Twitter or signing up to your mailing list. Whether you run your campaign entirely on social media or using our widget you can easily display all your submissions in a personalised and curated gallery on your website. Or you can simply store them to share on social media. You can even import hashtagged YouTube videos into your Competition or Gallery, so if you want to get your hands on some really high value customer content you can ask your audience to get involved with your hashtag campaign by uploading videos with your hashtag. 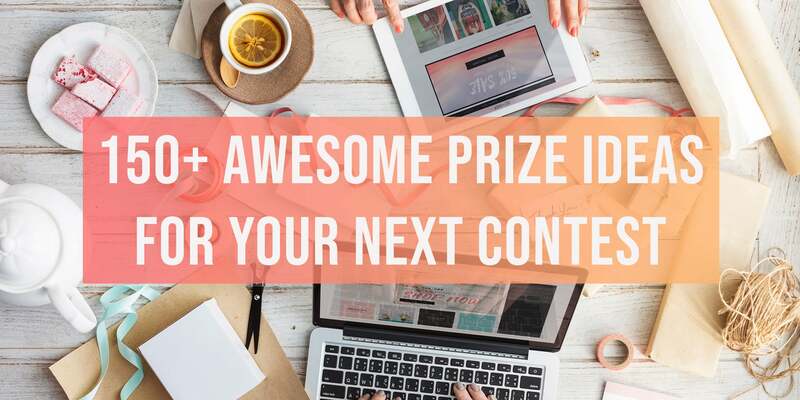 Find out everything you need to know about using contests to collect and share user-generated content. When you run a giveaway to encourage hashtag usage you should make sure you're regularly promoting your campaign on whatever social media platforms you're trying to drive engagement on. Instagram and Twitter are your best bets for driving hashtagged image submission, but Facebook can also be a good option. It all comes down to what platforms you and your audience are most active on. Another outstanding way you can use Gleam to run a hashtag campaign on Twitter is by using our Hashtag action to award contest entries to anyone who Tweets with your hashtag. This can be particularly effective when you combine it with other actions such as Twitter follows, Viral Shares and more. Ready To Run Your Own Hashtag Campaign? Check out our documentation on setting up your hashtag campaign with Gleam or check out the app now! 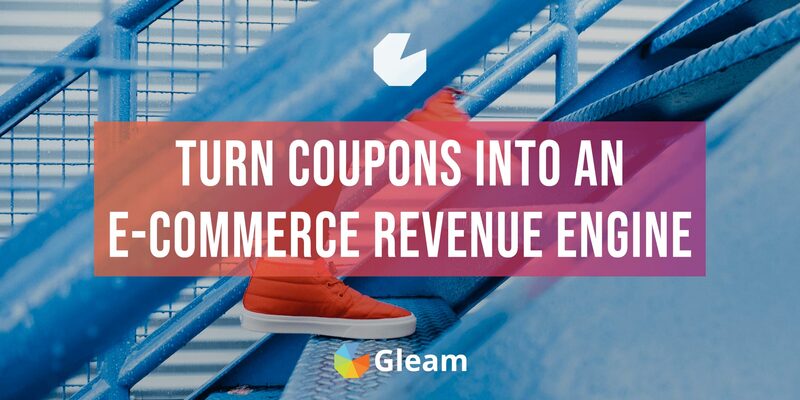 Another tactic you can use to incentivise participation in your hashtag campaign is using Gleam's Rewards app to offer online coupons to users who participate in your campaign. This is a great way to not only increase participation but also drive sales by offering up enticing discounts. Just remember, if you're giving out discounts you'll want to be getting some fairly valuable content back in return. Try asking your audience to upload photos of themselves enjoying your product. This will help you cultivate highly engaging content and boost retention by offering discounts to your existing customer base. When you use a hashtag campaign to generate a bunch of valuable fan-made content it's important that you're collecting it and putting it to work in your marketing material. The best way you can put the UGC you collect to work for your brand is by sharing it across social media. Fan submissions make for perfect social media content as it will be engaging, trustworthy, and perfectly suited for promoting your brand and products in an authentic and relatable manner. When you share user content on social media it's a good idea to tag the content creator in your post. This will help you build loyalty and develop brand advocates whilst also adding an extra layer of credibility and authenticity to your posts. It's also important that you make it clear to users that you intend to share their submissions. You want to ensure that everyone is a willing participant. Another outstanding way you can use the content you acquire from your hashtag campaign to aid your promotional efforts is putting it on full display in a gallery on your website. If you've developed a collection of hashtagged images which show off your products and your community then showing them off on your website is an awesome way to use what are essentially customer testimonials to build trust and guide website visitors towards conversion. With Gleam's Galleries app you can build stylish galleries which automatically import hashtagged images from social media. You can even sync a gallery up with a giveaway and automatically display submissions. And don't worry, you can easily curate your gallery so only the best submissions will be put on display. With Gleam's Galleries app you can also build sleek and stylish Carousels which allow you to show off your hashtagged community photos in a way that can seemlessy integrate with any page on your website. Check out how you can use carousels to showcase your community, boost engagement and maximise conversions. By now you should be feeling motivated and ready to get out there and put your own hashtag campaign into action. Whether you just want to drive some quick engagement or drive an ongoing stream of powerful user content you have the knowledge and tools to make it happen. Want More Ideas For Your Next Social Media Campaign?